PROSSER, Wash. – In arid eastern Washington where most of the state’s wine grapes grow, efficient irrigation is the name of the game. 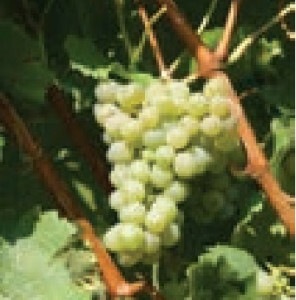 Yet little research has been done to determine the best irrigation strategies for white wine grapes. PROSSER, Wash. – Research posters, presentations, awards and lunch will be presented free to the public 9 a.m.-3 p.m. Wednesday, July 1, at the Walter Clore Center, 2140 Wine Country Rd., to showcase research from the Washington State University Irrigated Agriculture Research and Extension Center in Prosser (IAREC). PULLMAN, Wash. – To help Kenyan families irrigate subsistence and cash crops, two Washington State University economists are studying the marketing, financing and impact of a human-powered treadle irrigation pump. PULLMAN, Wash. – The free, public Legacy of Excellence Reception – including a lecture by 2014 WSU Emeritus Society Legacy of Excellence Award winner Norman K. Whittlesey – will be at 4 p.m. Wednesday, March 26, in Todd Hall 276. PROSSER, Wash. – In much of Europe, it is illegal to irrigate wine grapes after veraison – the change of color indicating ripening – for fear of diluting brix, or sugar content. But recent research is calling into question this taboo, especially for semiarid regions like eastern Washington – and Spain. In fact, a visiting scientist from Spain, Pascual Romero, is working for a year at WSU’s Irrigated Agriculture Research and Extension Center at Prosser to better understand irrigation management in vineyards. SKAGIT COUNTY – A study of big gun vs. boom irrigation systems in Skagit County may help growers save money as well as water. In summer 2007, Don McMoran, agriculture and natural resources educator at WSU Extension Skagit County, and Troy Peters, extension irrigation specialist at WSU Prosser, teamed up to compare the efficiency and uniformity of big gun and boom irrigation systems.